malai ladoo recipe | malai laddu | milk ladoo | paneer ladoo with detailed photo and video recipe. a creamy and rich ladoo recipe made with evaporated milk solids or semi-solid paneer. 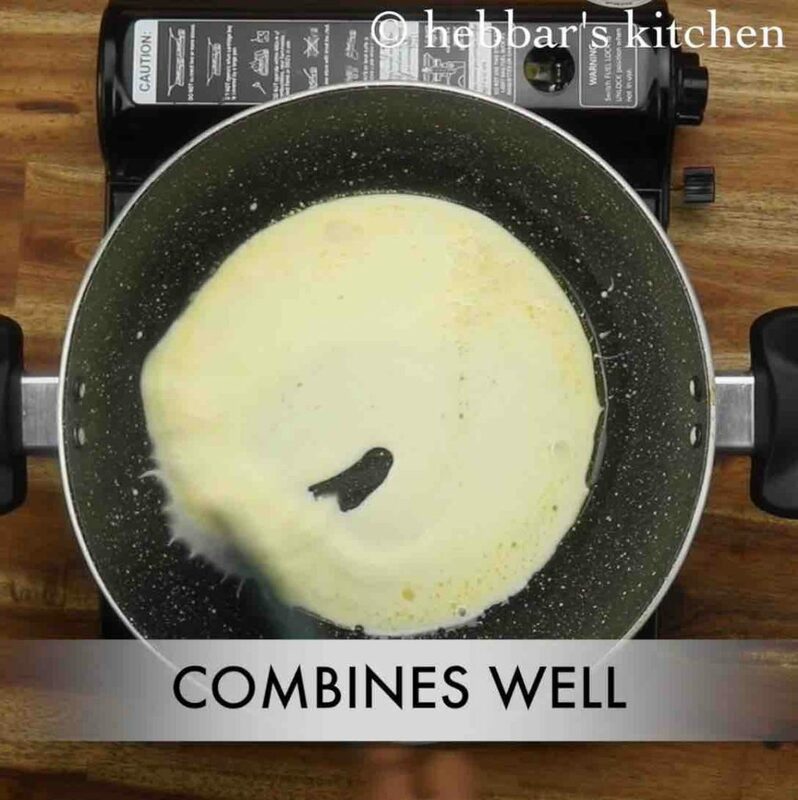 it is easy and simple to prepare without any complicated ingredients involved to make this. it can be ideally made for festival seasons or for any occasions to be shared with friends and families. malai ladoo recipe | malai laddu | milk ladoo | paneer ladoo with step by step photo and video recipe. sweets and dessert recipes are very integral to indian cuisine and is specially prepared for auspicious occasions. it is generally made with milk and nut-based sweets & desserts. 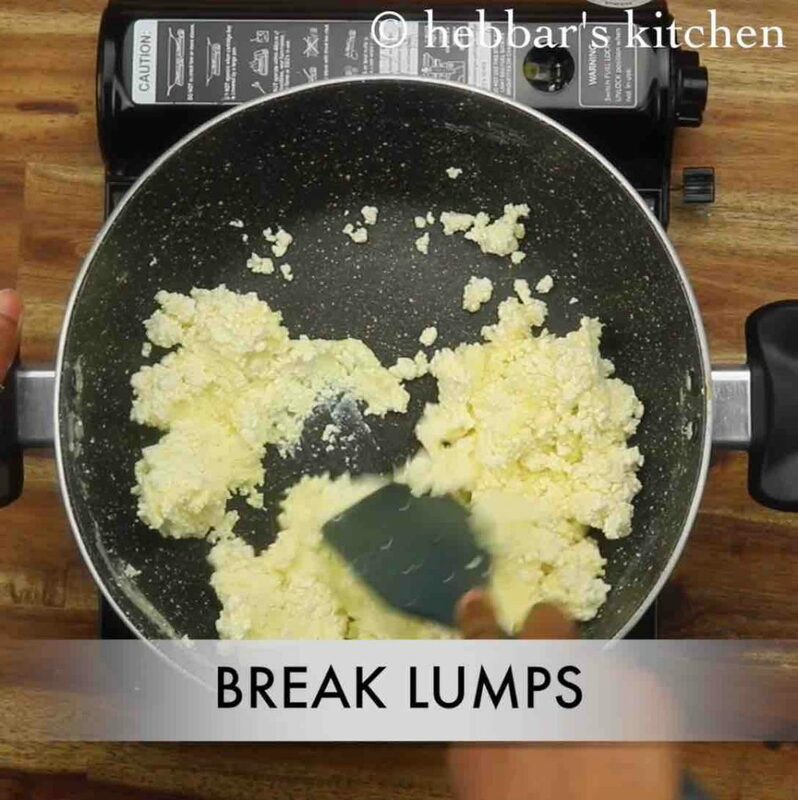 one such easy and simple recipe is malai ladoo or milk ladoo made from milk solids or indian cottage cheese. 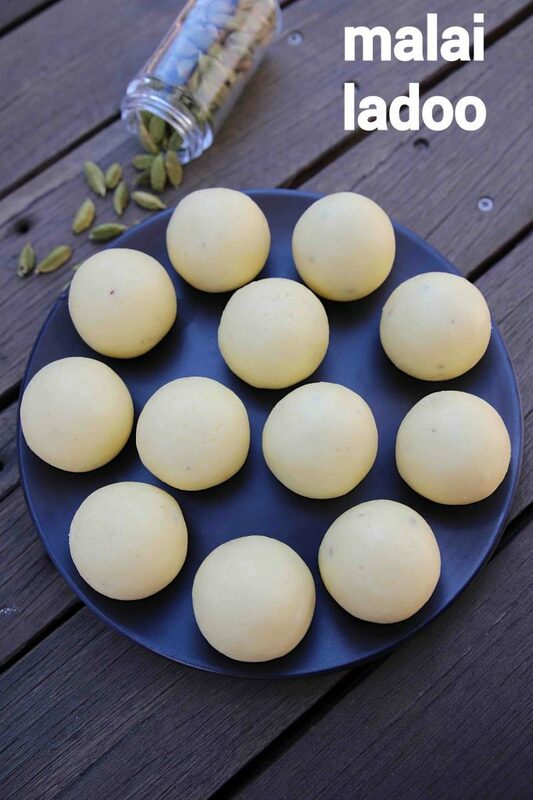 the recipe for malai ladoo is extremely simple with very less ingredients involved to make it. having said that, this recipe can be time consuming and may need lot of patience to achieve the desired results. hence i have posted a shortcut version of this recipe and used instant khoya mixed with paneer. to make instant khoya, i have used milk powder mixed with milk, cream and ghee. the end result should be exactly the same with less complication while shaping it. the taste and texture is almost like a milk peda or kalakand, yet has its own flavour and texture. 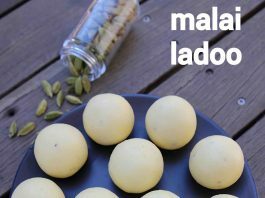 furthermore, some important and easy tips and suggestions for a perfect and creamy malai ladoo recipe. 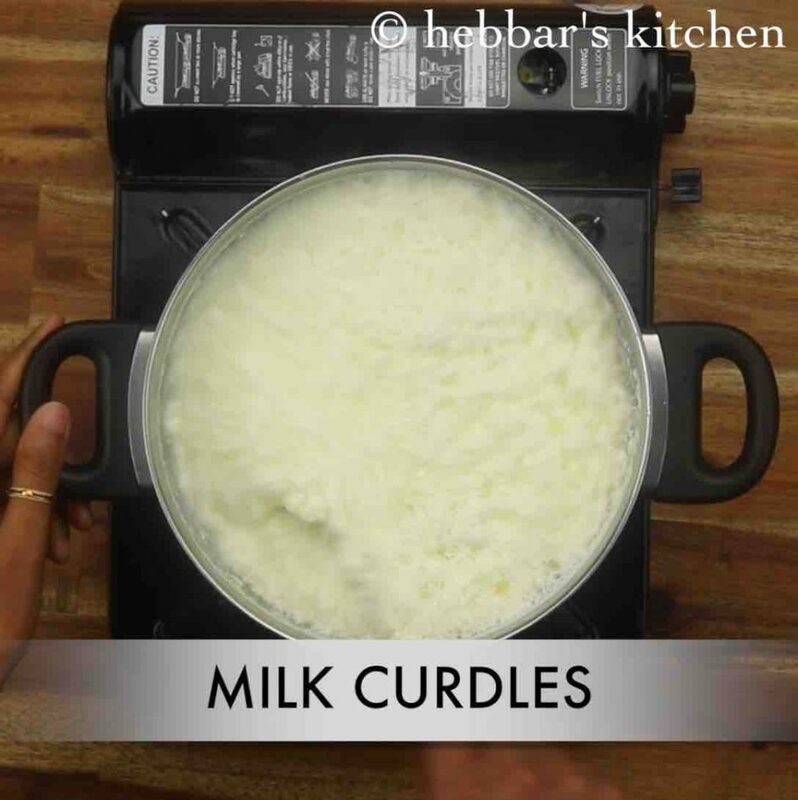 firstly, i have used homemade paneer by curdling the fresh cows milk and it yields a moist ladoo recipe. 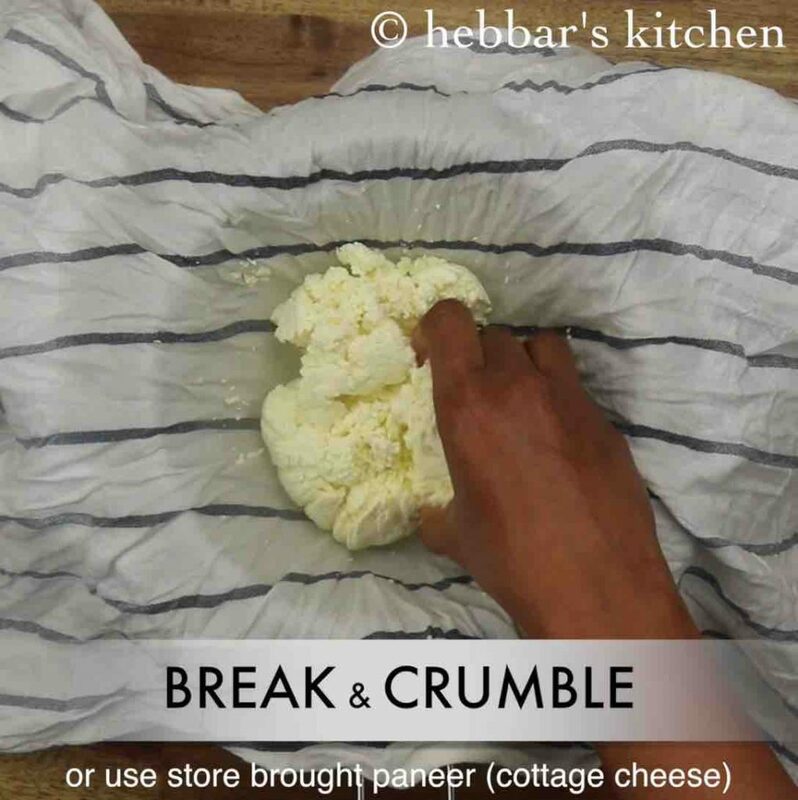 alternatively you can use store bought paneer, but ensure to have fresh and moist paneer. secondly, i have not topped with any extra dry fruits and made it with just paneer and khoya. you can add finely chopped cashews, almonds and pista. lastly, you can store these ladoos for couple of days, if stored in a dry and air tight container. 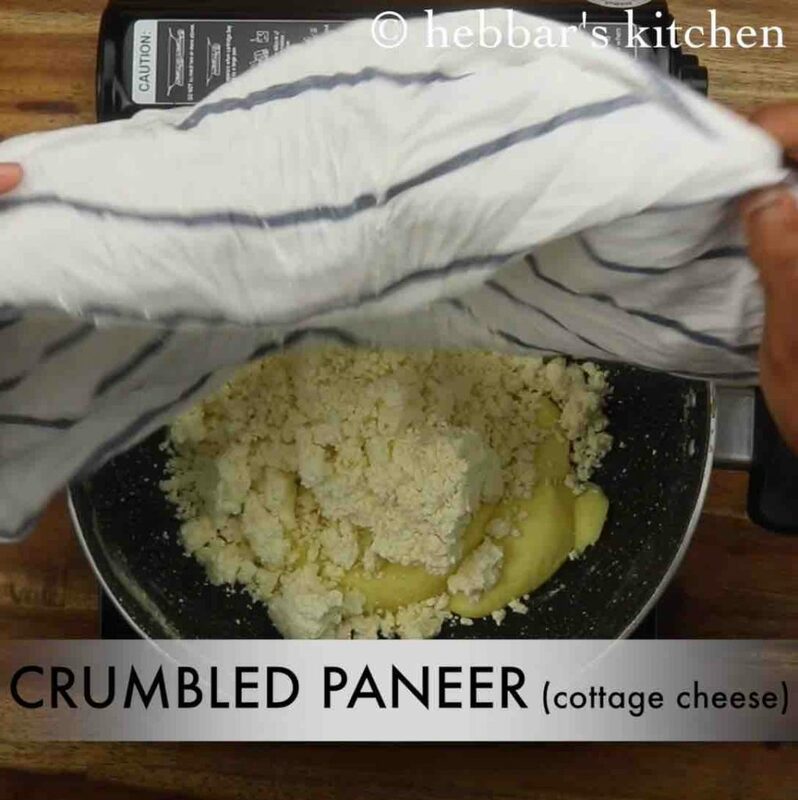 firstly, crumble the paneer. you can also grate store brought paneer. 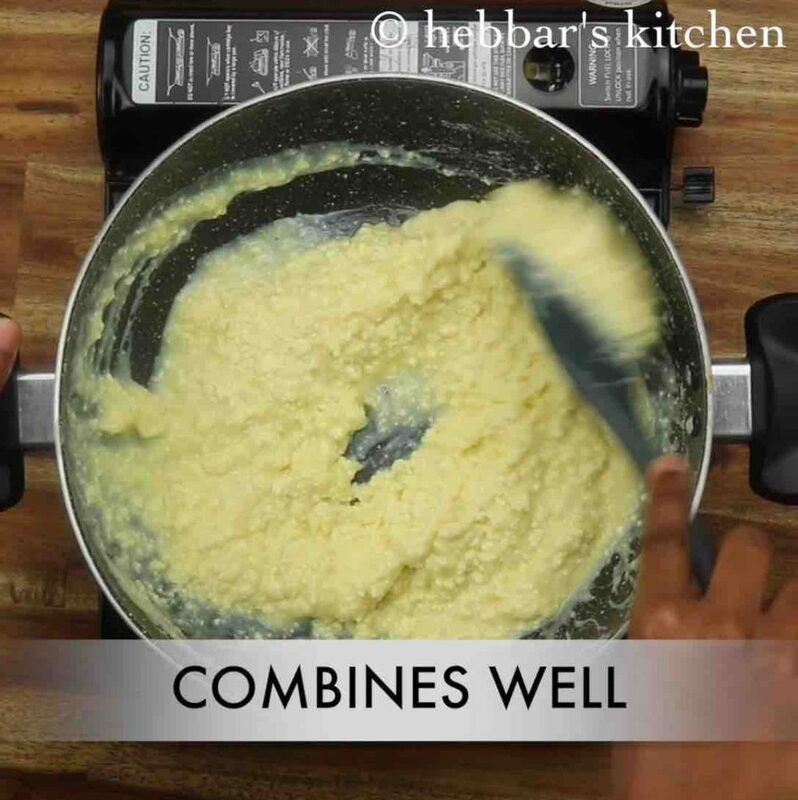 add the crumbled paneer to prepared khova and mix well. mix and mash until the mixture turns smooth. 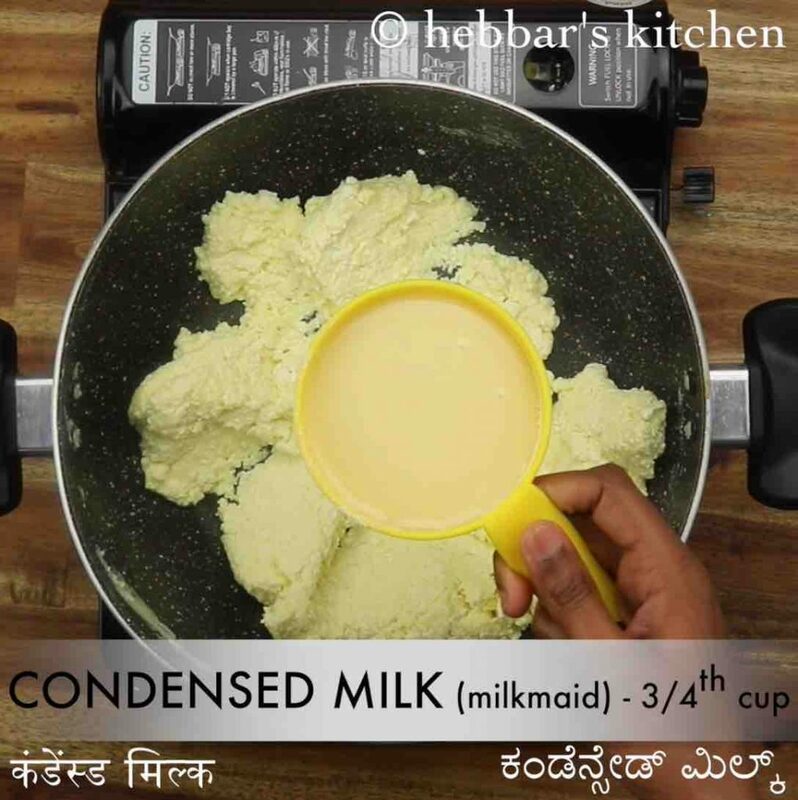 now add ¾ cup condensed milk and mix well. continue stirring until the mixture thickens completely. 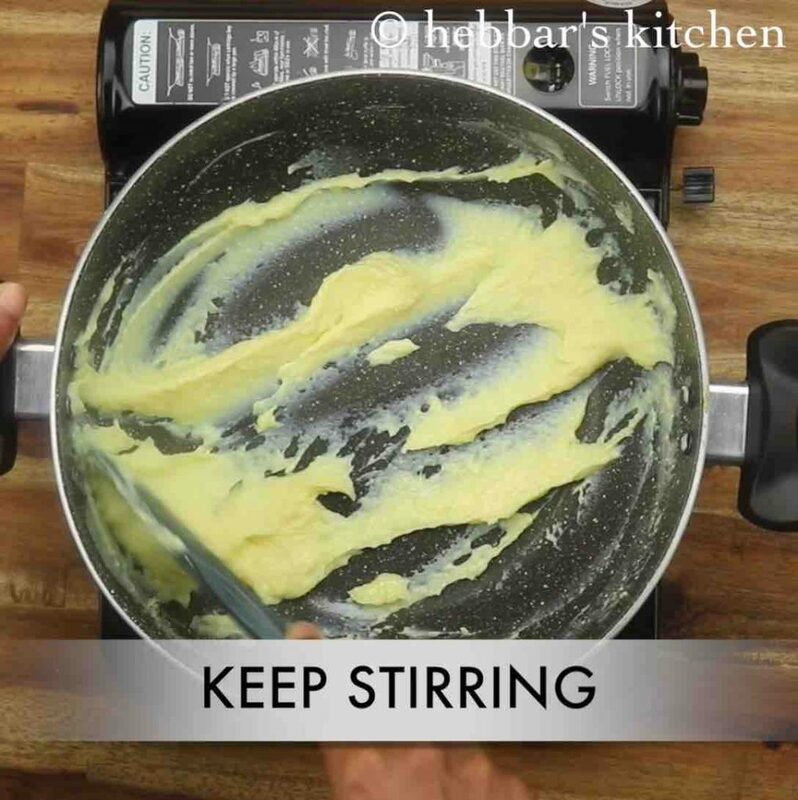 keep stirring until the mixture starts to separate pan and hold shape. 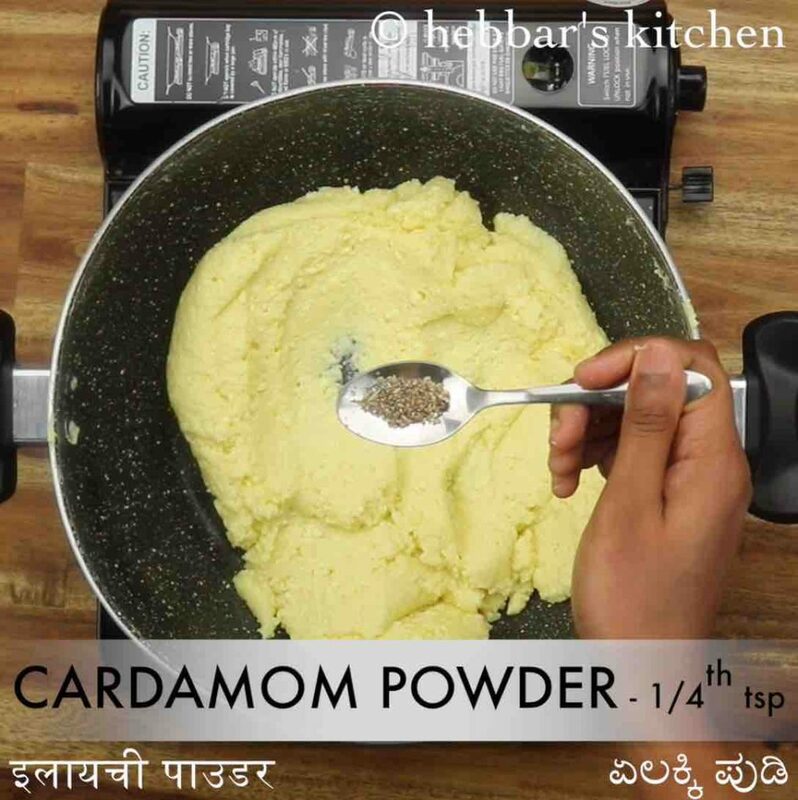 further, add ¼ tsp cardamom powder and mix well. 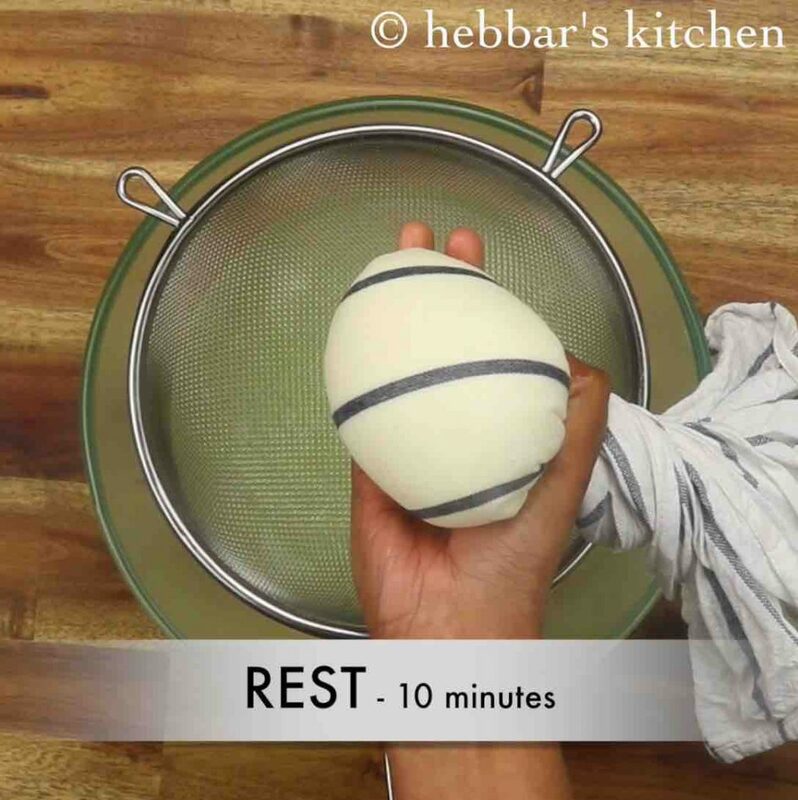 rest for 5 minutes and start to prepare small ball sized balls. finally, malai ladoo recipe stays good for a week when refrigerated. 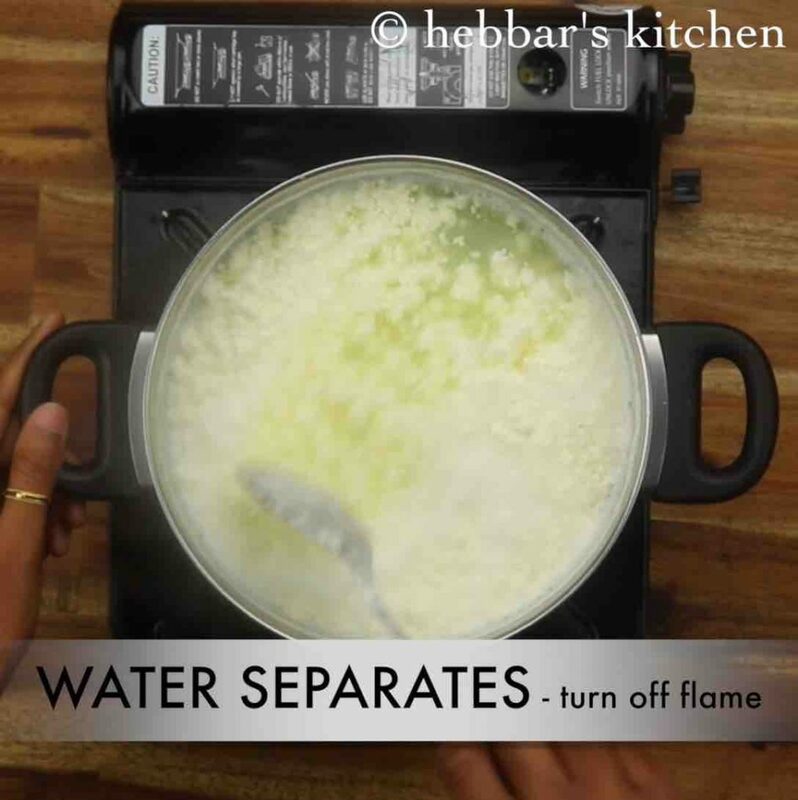 firstly, prepare paneer by boiling 2-litre milk. 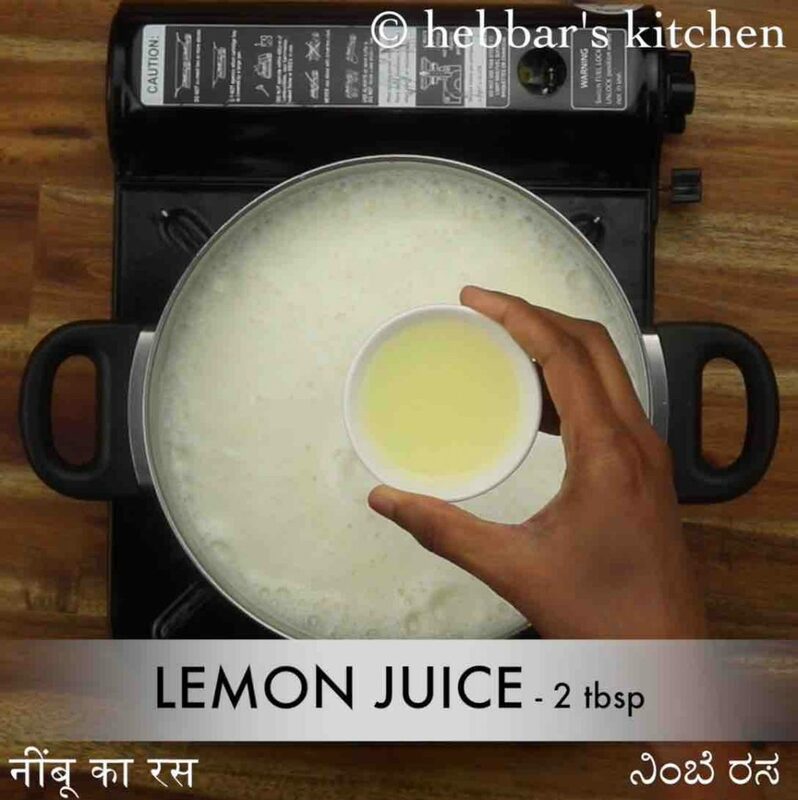 once the milk comes to a boil, add 2 tbsp lemon juice. 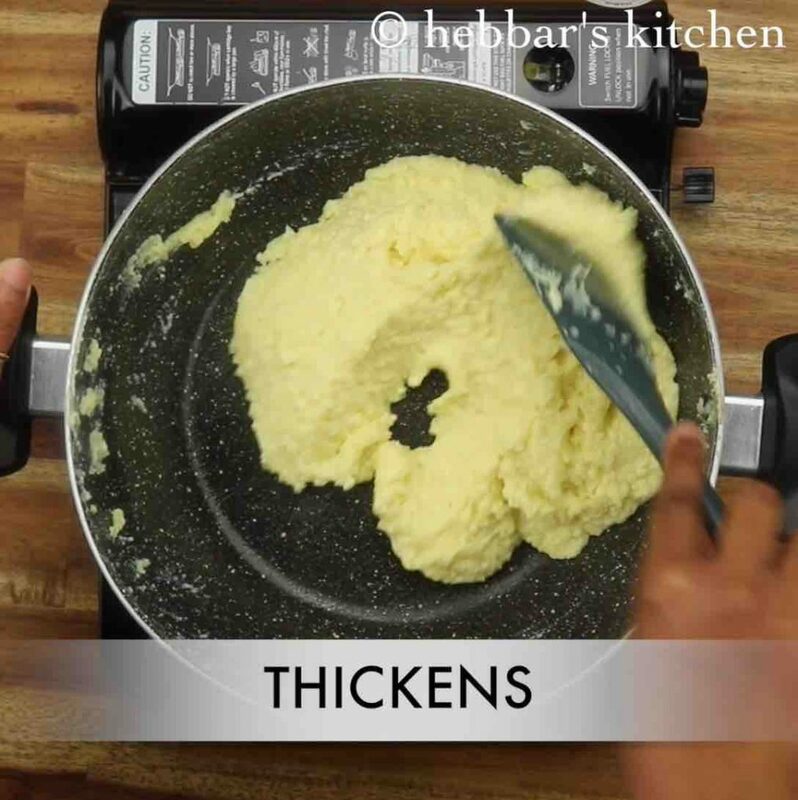 you can alternatively add curd or vinegar. stir well on medium flame until the milk curdles. 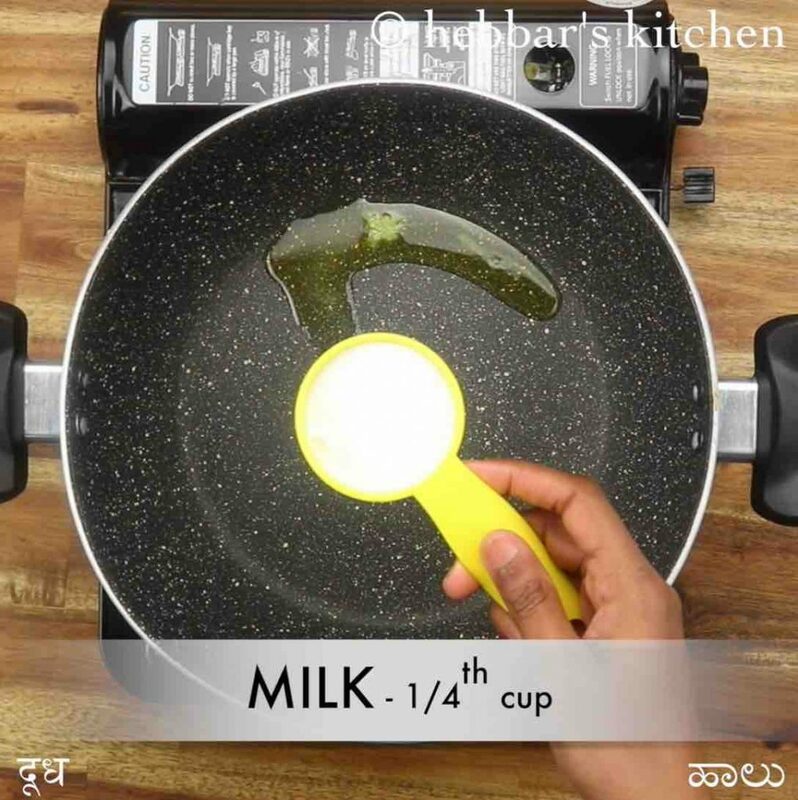 feel free to add more lemon juice or curd/vinegar to coagulate milk and water separate completely. 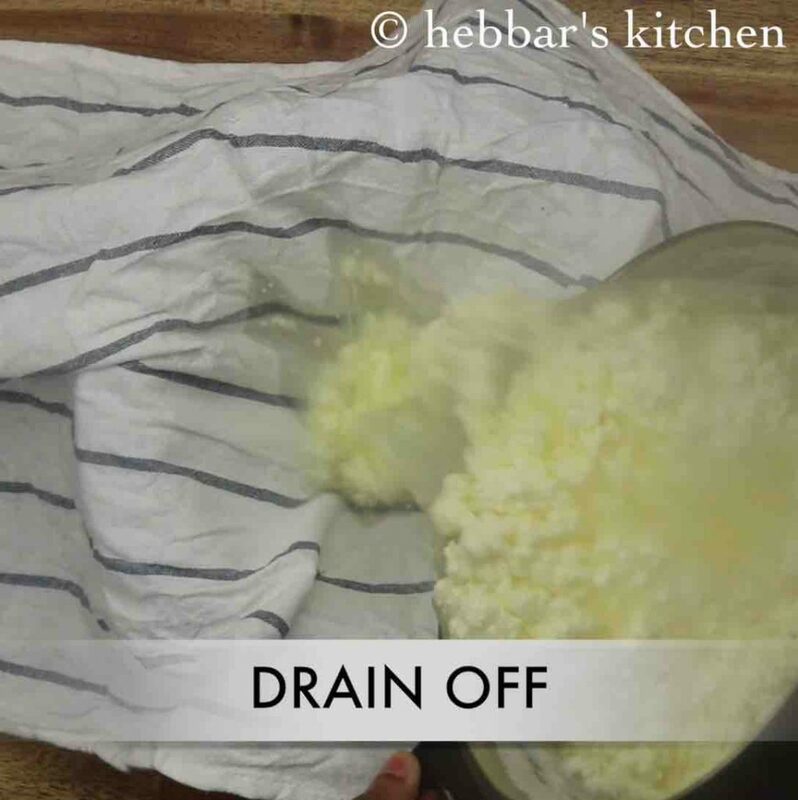 drain the curdled milk over a cloth-lined over a colander. 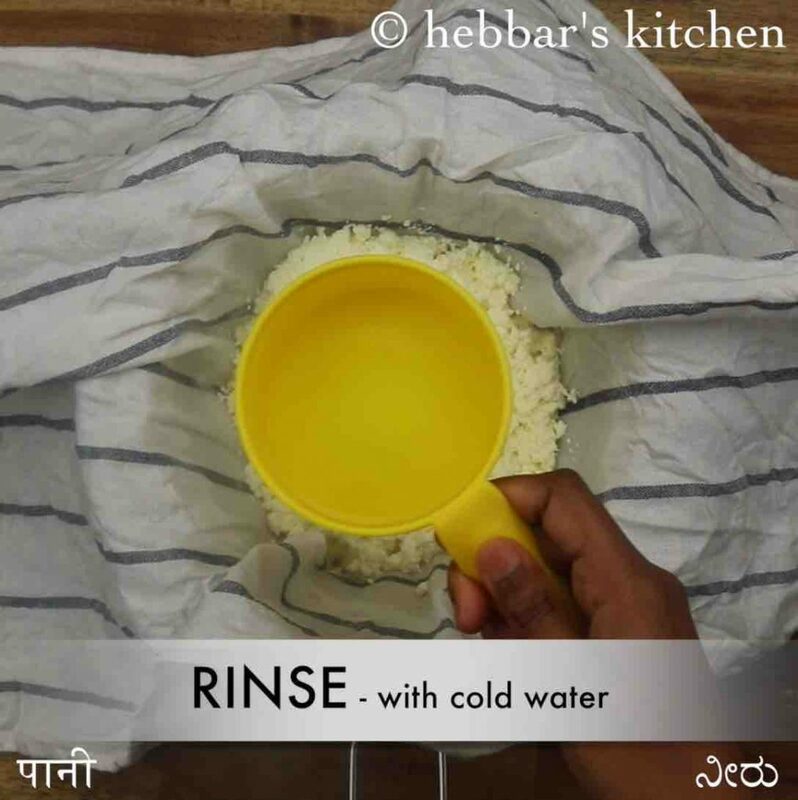 you can use leftover water to make soup or knead dough as they are very nutritious. rinse off the curdled milk with fresh water to remove sourness from lemon juice. 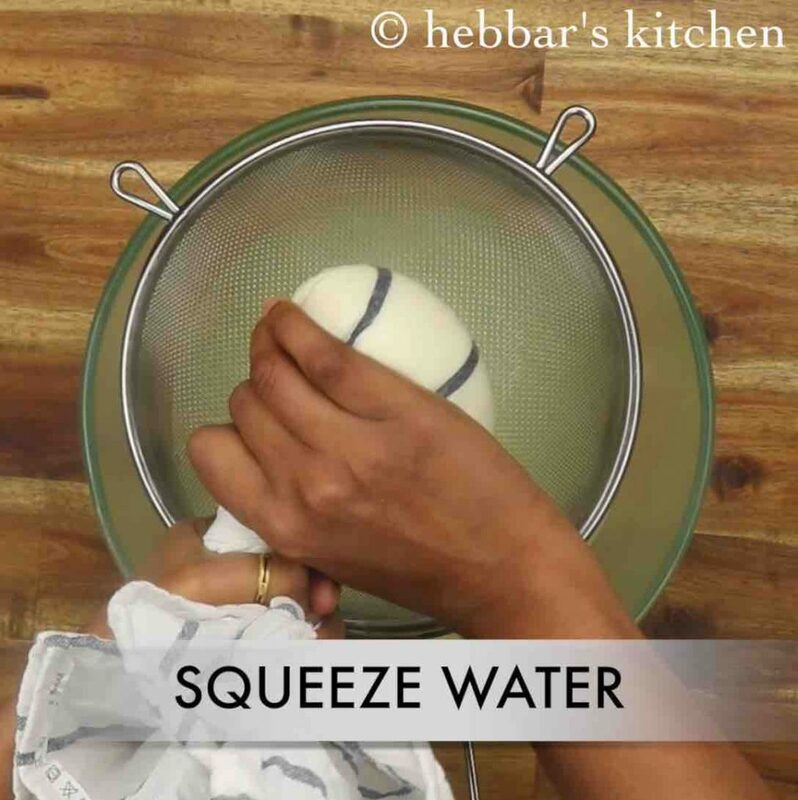 squeeze off the water completely. be careful as the curdled milk will be very hot. rest for 10 minutes or until the water is drained off completely. 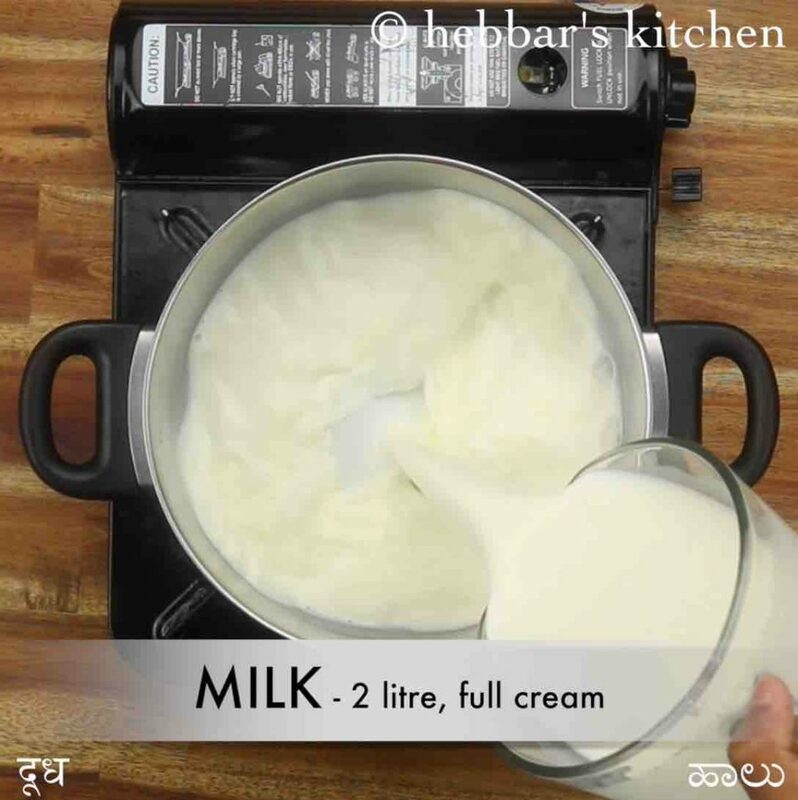 meanwhile, prepare mava by heating ½ tsp ghee, ¼ cup milk and ¼ cup cream. 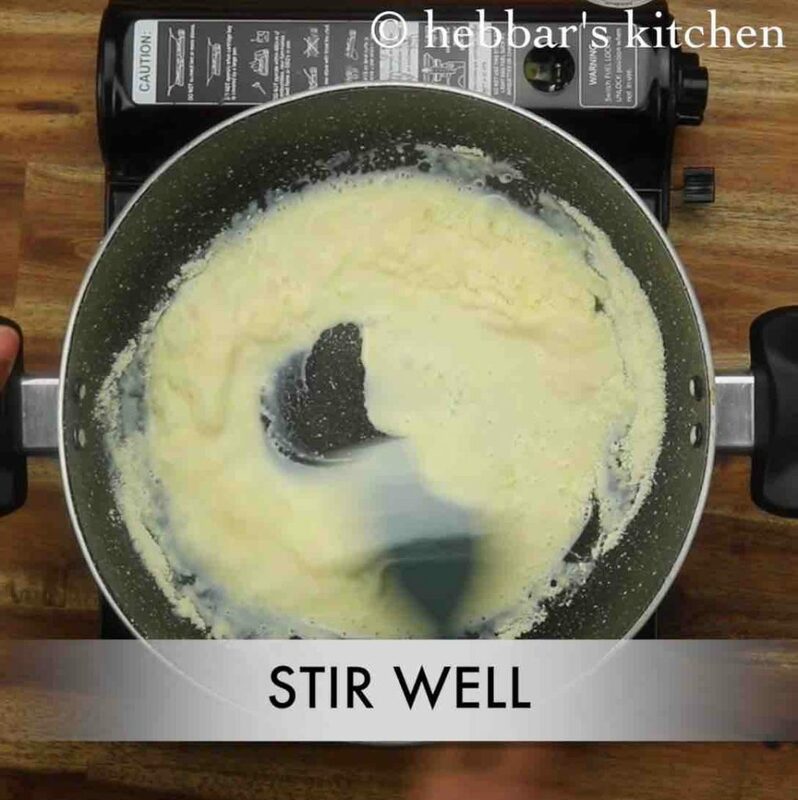 stir well making sure butter and milk are combined well. 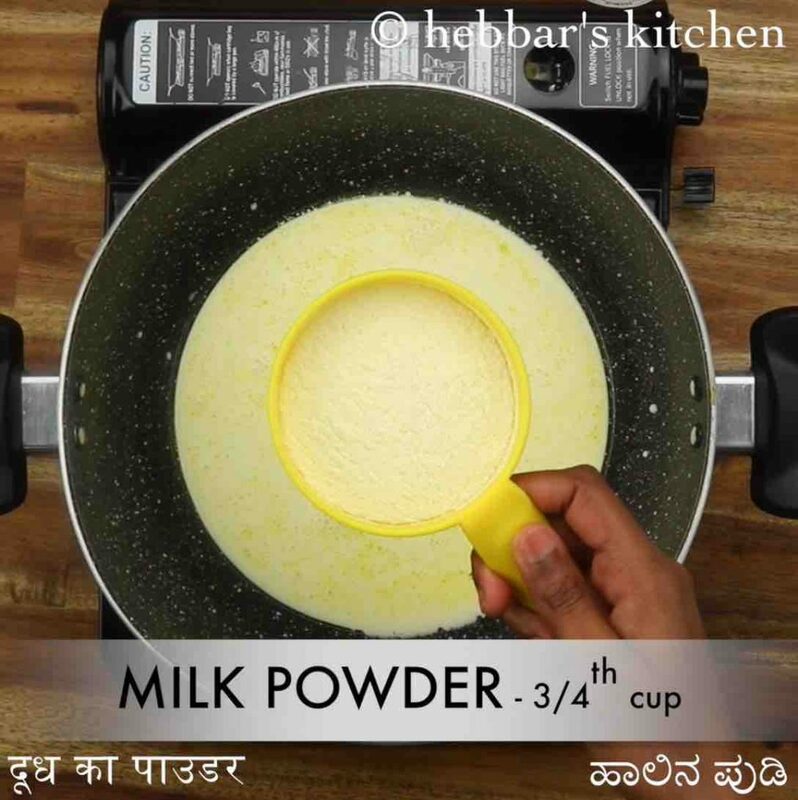 now add ¾ cup full cream milk powder. keeping the flame on low, stir continuously. the mixture starts to thicken. 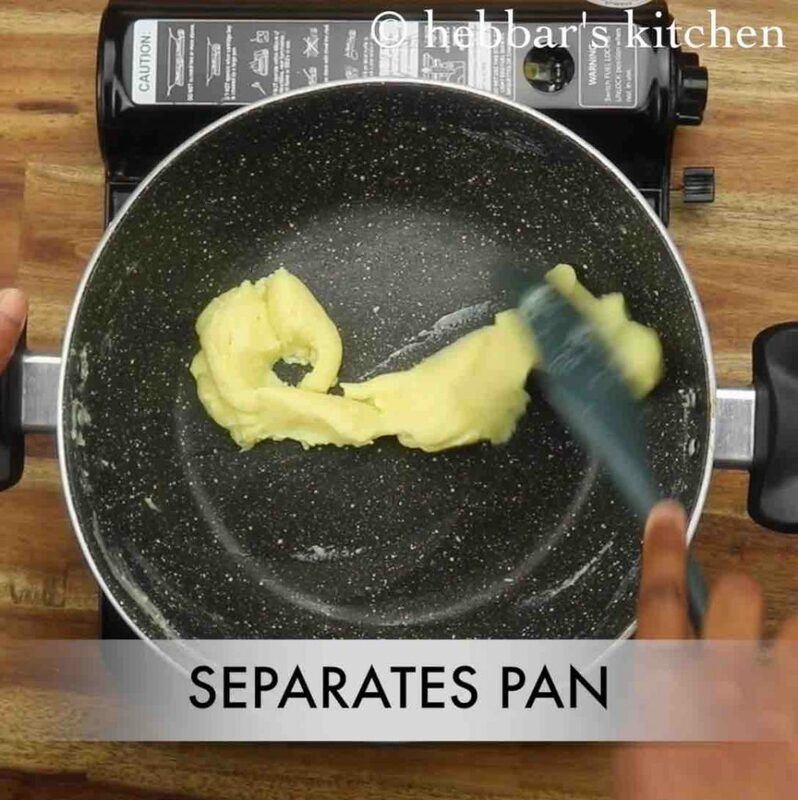 after 5 minutes, the mixture starts to separate from pan. 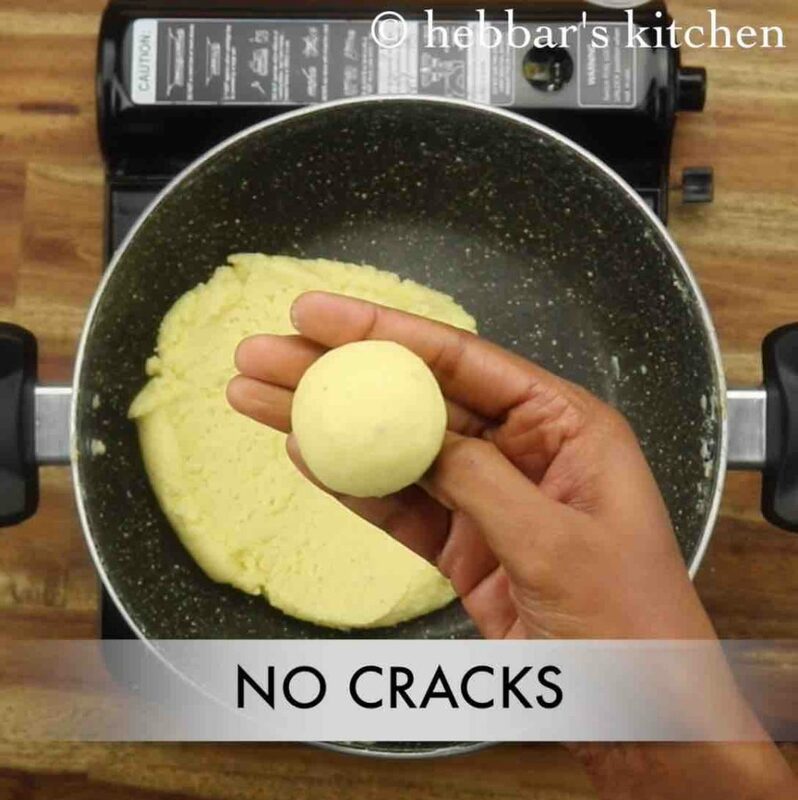 keep mixing until it forms a lump. 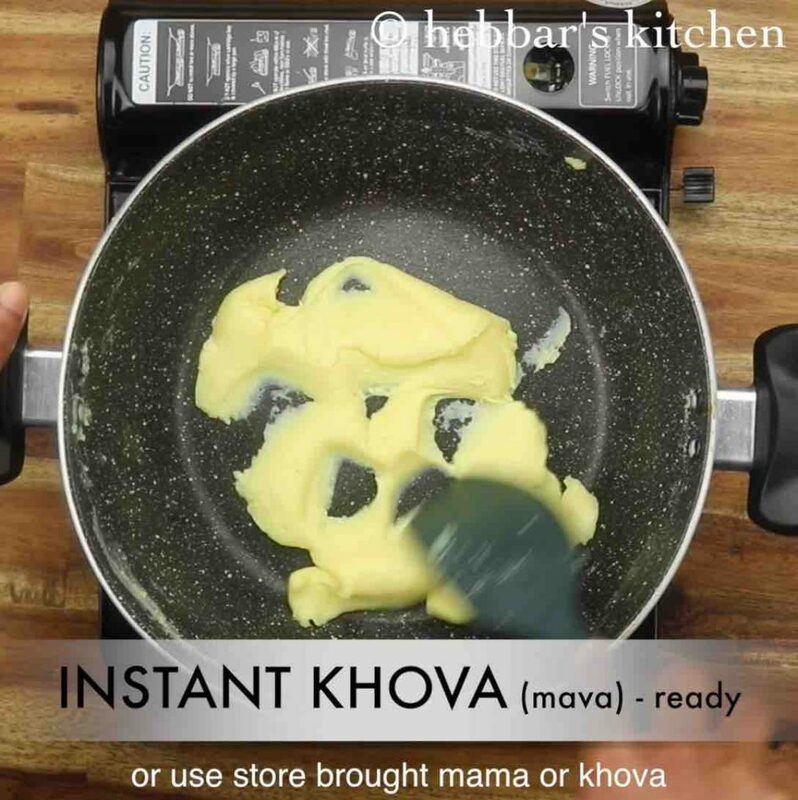 finally, instant khoya is ready. now add ¾ cup condensed milk and mix well. do not add any extra sugar as condensed milk contains sweetness. 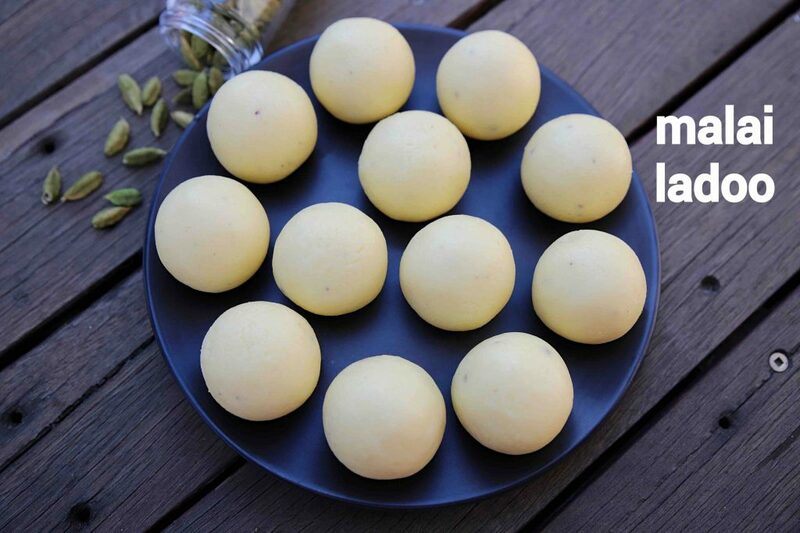 firstly, use store brought paneer and mava if you are planning to prepare instant malai ladoo. also, adding condensed milk makes ladoo more rich and creamy. additionally, add dry fruits of your choice to have a crunchy bite. finally, malai ladoo recipe can also be flavoured with saffron.